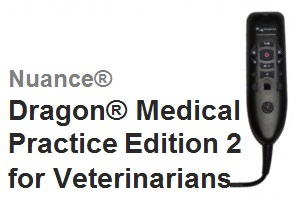 Nuance® Dragon® Medical Practice Edition 2 for Veterinarians. 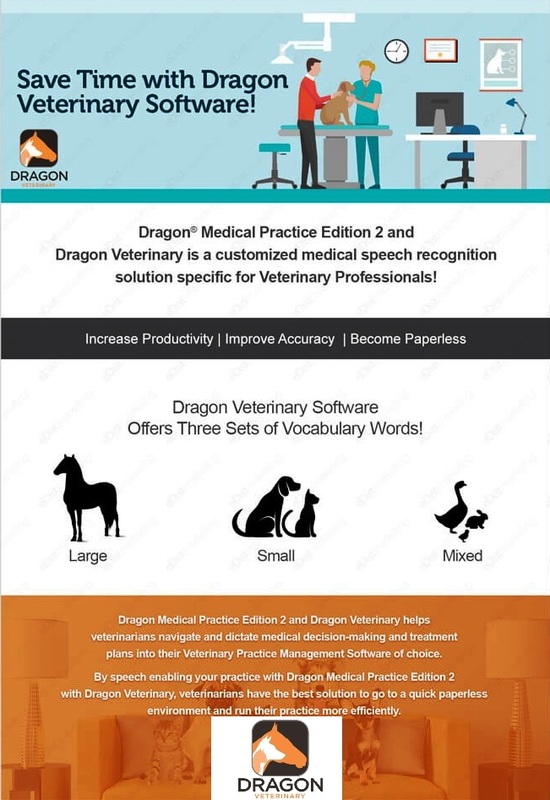 Gain more time in your day by speech enabling your practice using Dragon Medical Practice Edition 2 with Dragon Veterinary into your Practice Management Software of choice. Most people can speak 150 words per minute. How many words can you type per minute? How many errors? Most veterinarian's are completing a minimum of 2-3 times more reports per day dictating rather than typing or writing. Dragon Veterinary will provide you with the best solution to go with a quick paperless environment and run your practice more efficiently. Most importantly, it allows you to do what you do best as a veterinarian and that's treating your very special patients with special care. Combines a robust, ergonomic USB microphone with full-function, PC-mouse capabilities to avoid constant switching from microphone to mouse to keyboard. 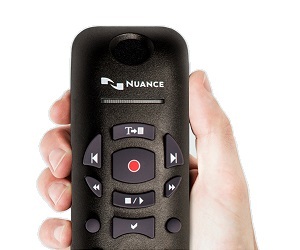 PowerMic allows clinicians to easily control standard diction and speech recognition functions with PC mouse functions for higher levels of dictation speed, ease-of-use and productivity. 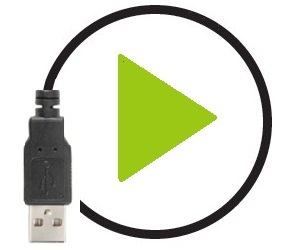 USB connectivity with plug-in installation eliminates the need for sound-card enabled PCs. 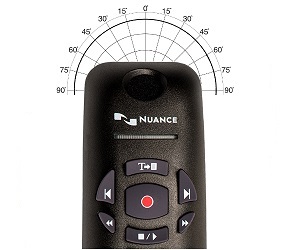 Unidirectional microphone with noise-cancellation ensures higher accuracy even in the noisiest environments. A web connection is required for activation during installation. The software checks your system for minimum requirements; if they are not met, Dragon Medical Practice Edition will not be installed.